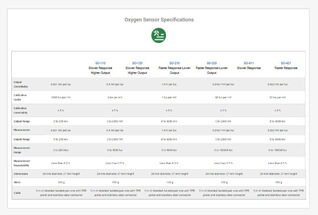 Reliable gaseous oxygen measurement in the laboratory and porous media. 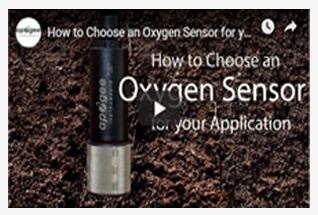 Apogee Instruments' oxygen sensors reliably measure 0 to 100 % gaseous O2. The protective membrane in front of the oxygen sensor can be heated to prevent water from condensing on the membrane and blocking the diffusion path. The heater is typically used when sensors are deployed in soil or compost where relative humidity is close to 100 %. Housed in a polypropylene body and electronics are fully potted, ideal for long-term deployment in porous media, including acidic environments (mine tailings). 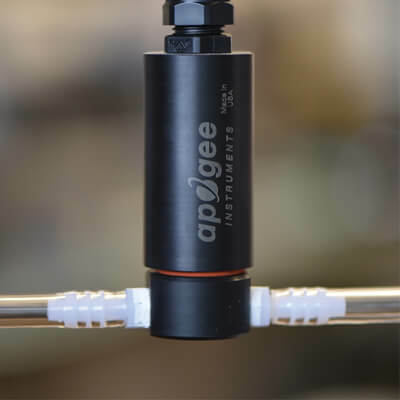 Two head options are available: a diffusion head that creates a small air pocket for measurement in porous media and a flow-through head with two adapters for tubing that allows measurement of gas flowing in lines. Voltage output is linearly proportional to absolute amount of oxygen. Calibration is accomplished by measuring the voltage under ambient conditions (atmosphere is 20.95 % O2 and deriving a linear calibration factor (slope). A zero offset can be measured with N2 gas (recommended for measurements below 10 % O2). 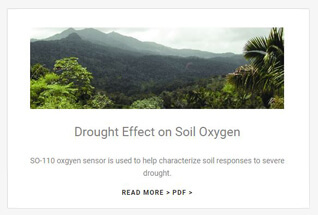 Applications include: measurement of O2 in laboratory experiments, monitoring gaseous O2 in indoor environments for climate control, monitoring of O2 levels in compost piles and mine tailings, monitoring redox potential in soils, and determination of respiration rates through measurement of O2 consumption in sealed chambers or measurement of O2 gradients in soil/porous media. 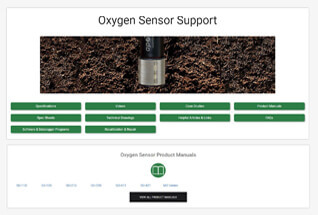 All oxygen sensors have an internal thermistor (type-K thermocouple is available upon request) that allows for temperature monitoring and correction of signal for temperature effects. Analog version is an un-amplified voltage output. 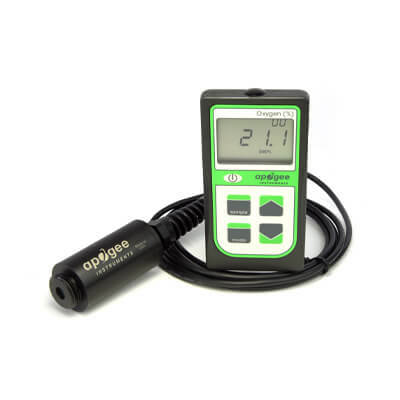 Oxygen sensors are also available to a hand-held meter with digital readout.